Dice up and cook an onion, along with 2 diced carrots,celery,and 1 container of sliced mushrooms in 3 tablespoons of butter. Stir the veggies around and cook them for 3 to 4 minutes, until they just start to soften. Add a splash of half-and-half or cream for a little creamy richness. 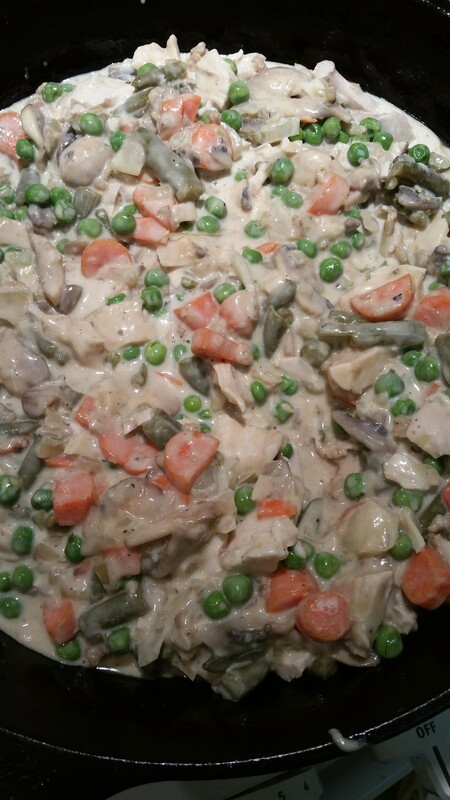 Move mixture to a casserole/oven safe dish. 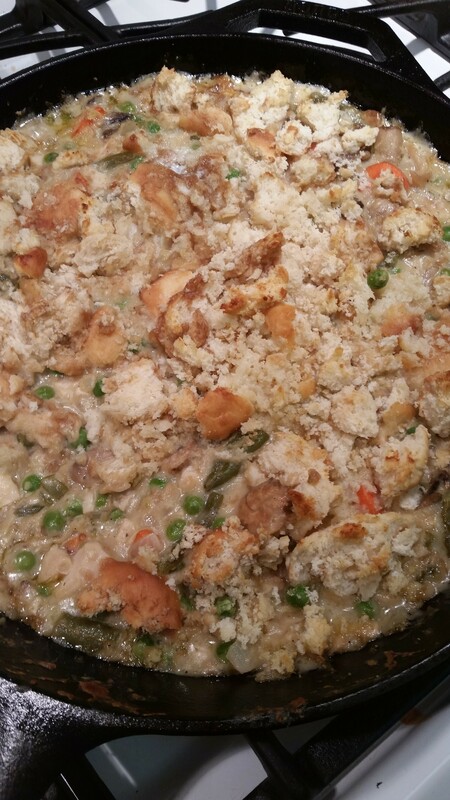 Soak biscuits with remaining gravy then crumble on top. Cook at 350 for 20 minutes. 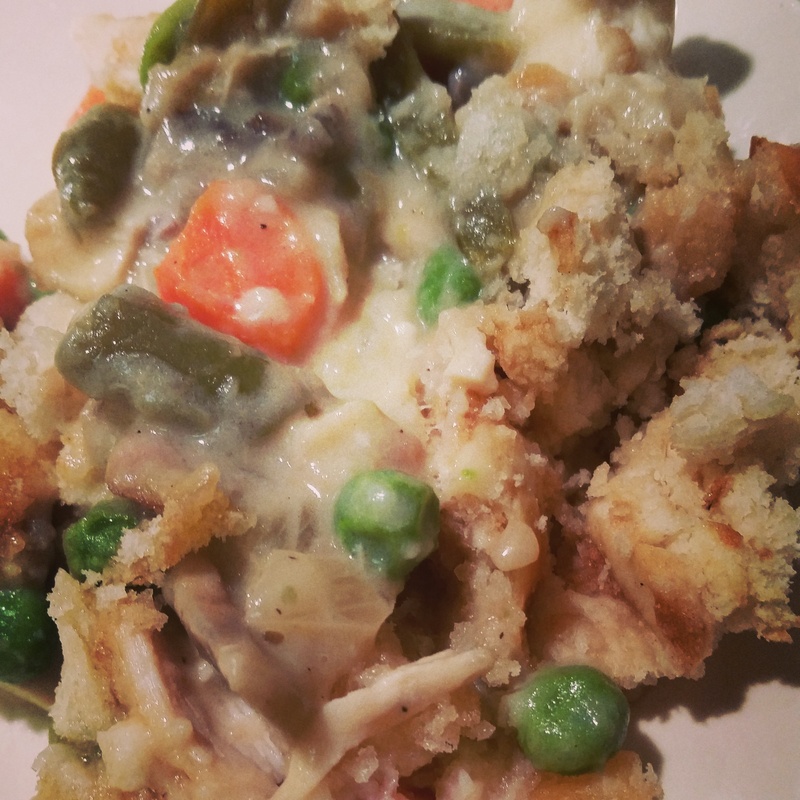 Great recipe and idea.I git 2 KFC chicken pot pies tonight intending to freeze one for future use but when I asked the gal at KFC if I could freeze them she said noon with a frown. WHY NOT?? ?